It was still dark in the 16-acre field behind the Charles Hall Museum when I arrived. Other enthusiasts, from all over the country, drove in at the same time. While the bulk of the eclipse chasers would arrive hours later, my early-bird trip earned me a good spot in the first row on the south-side of the field. I only had grasses, a creek, and a few short trees and bushes in the direction of the afternoon sky where totality would take place. My only worry were the clouds. They were present all over the pre-dawn sky. 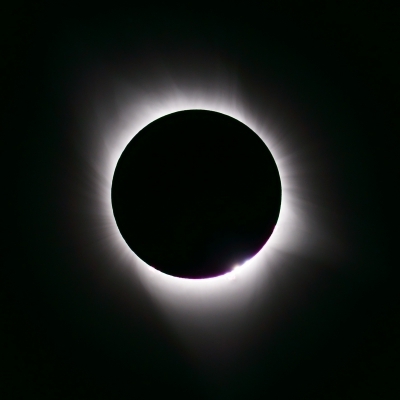 Baader AstroSolar Visual Solar Filter Film: a white light filter material kept on the telescope for all eclipse phases before and after totality. 2x portable “jump-start” car batteries: with 12-Volt outlets to power mount and laptop. Old smartphone: with alarms set to ring before the various phases of the eclipse. 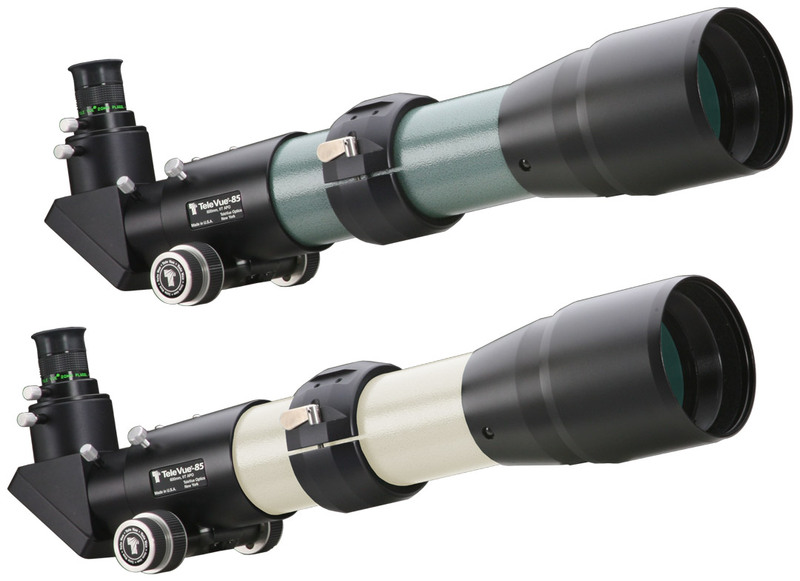 Tele Vue TV-85 APO Doublet Refractor is available in ivory or green. Includes: sliding metal dew shield, screw-on metal lens cover, tube ring-mount with mounting threads, 2″ Everbrite (99%, 1/10-wave) mirror diagonal with brass clamp ring, Focusmate dual-speed focuser 10:1, 1¼” eyepiece adapter with brass clamp ring, 20mm Plössl eyepiece, & soft carry case. The clouds burned off as the morning progressed for a mostly sunny day. Not wanting to use-up my battery power too soon, I waited until about 10 a.m. to do my first focusing and test shots with the solar filter on the scope and the mount aligned and tracking the Sun. Luckily, sunspot group 2671 had appeared on the limb of the mostly blank Sun in the week before the eclipse. 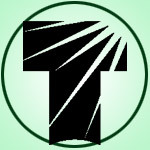 It was now well positioned to use as a focusing target. The focus magnification feature of the SONY a7 II, and the camera’s pull-out LCD screen, came in handy here. I used a jacket over my head to block the daylight to give me better screen contrast as I examined the magnified image of the sunspot on the LCD. Having pre-focused the scope at home, in the days before the eclipse, I only needed to make a few clicks on the in/out buttons of the Focusmate Driver hand controller to confirm I was still at focus. I would repeat the focusing run on the sunspot before the partial phases started and I kept that focus throughout the event. Tele Vue TV-85 image from Tellico Plains, TN, 21 Aug 2017, of Moon about to occult sunspot 2671. Image by Peter Carboni. As the temperature hit the low-90s, in strong sunlight, before the partial phases began at 1:04 p.m. EDT, I noticed the LCD screens on my various devices were becoming unreadable due to the heat. Something I hadn’t anticipated. I was forced to stuff a smartphone, hand GPS, and mount controller into the shade of a cardboard shipping box I was using to keep the light off my laptop screen. Right after 1 p.m. 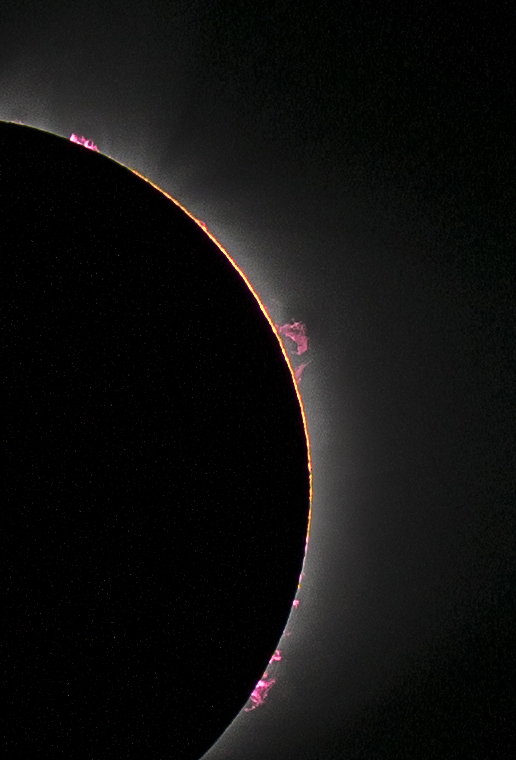 I began a series of timed exposures of the partial phases of the event. 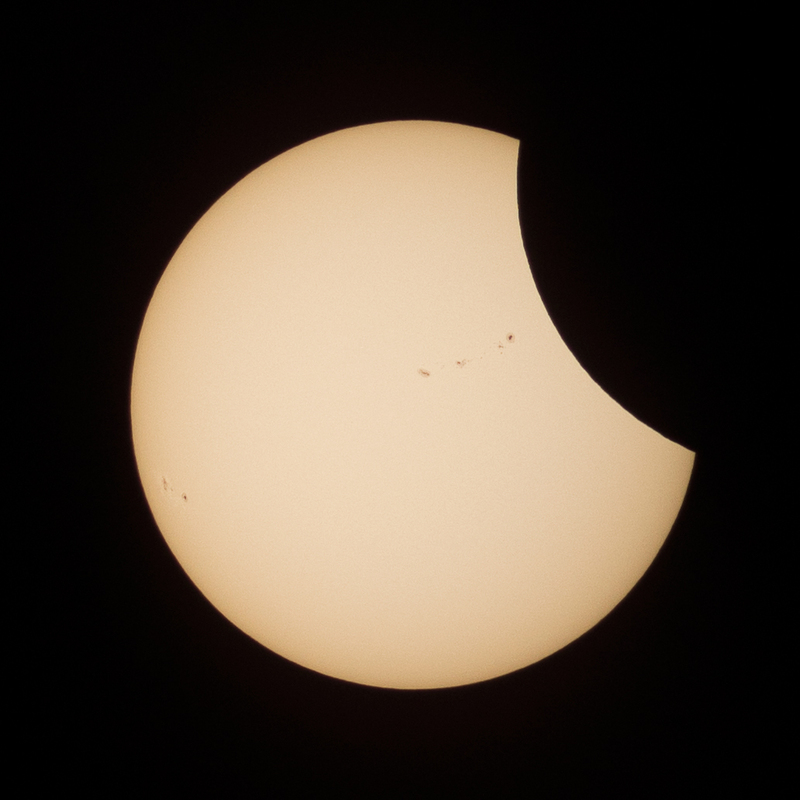 This series showed the start of the eclipse until a bit after sunspot 2671 was covered about 40-minutes later. About 20-minutes before totality it had gotten dark and cool enough that I found it more comfortable to take off my sun hat and sunglasses. My LCD devices were no longer in danger of “heat-stroke” and they came out of the protection of the shipping box. One of the alarms on my old smartphone went off to remind me to remove the solar filter. I did so and then clicked down and held the shutter button icon of the software on my laptop to take the first set of bracket images. While the digital camera made its artificial shutter sound and the laptop screen told me that the images were transferring to the laptop, I looked up at the spectacle the crowd was continuing to “oooh” and “ahhh” about. Tele Vue TV-85 image from Tellico Plains, TN, 21 Aug 2017, at totality. No single image captures the entirety of totality. Image by Peter Carboni. I reset the software several times to take bracketed images around various exposure points — all the while continuing catch a glance of the spectacle above with my eyes. With another alarm chiming on my smartphone, I put the solar filter back in place — the 2’ 37” of totality were over much too soon. I continued to take timed exposures of the Moon receding from the face of the Sun. By 4 p.m., when the final piece of the Moon left the Sun, I found myself mostly alone in the field and began to pack up for what would turn out to be a 3-hr bumper-to-bumper trip back to my hotel. Previous Previous post: Great American Solar Eclipse Today!